I went to Metal Mass (Metallimessu) in my church this evening. It was a plug for the upcoming church elections to encourage youth to participate. It attracted about 200 people – about half of which were younger than I. 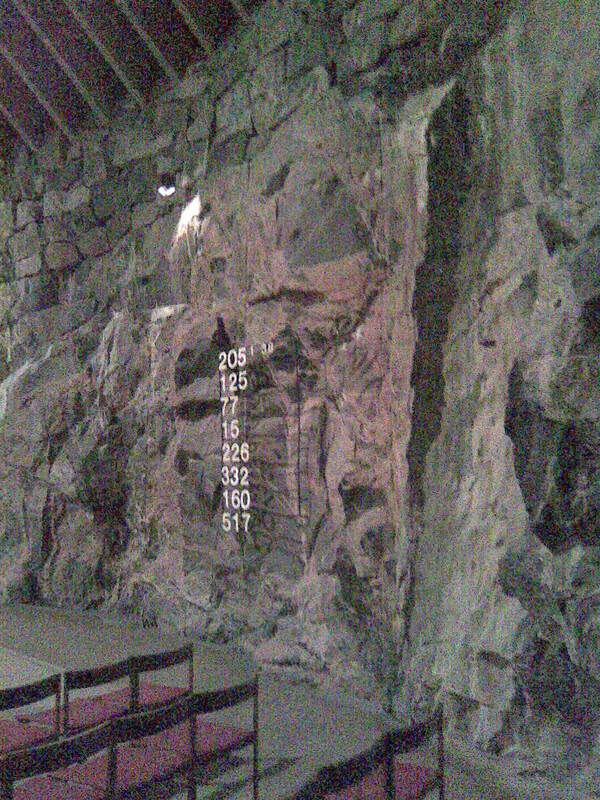 The hymns were straight out of the Finnish Evangelical Lutheran Church’s hymnbook (Virsikirja): 205, 125, 77, 15, 226 (12th-century Latin hymn Jesu dulcis memoria, a monster of 16-stanzas: imagine it in metal! sadly only the first 8 were performed), 332b (here is a sample of this hymn in metal), 160, 517; and the reading from the week’s entry in the Church’s lectionary. But the heavy-metal style of music gave the appropriate sense of urgency to (for example) ”Jumalan Karitsa” (“Agnus Dei”) and the readings (Abram and the stars from Genesis 12; Mark’s account in chapter 2 of healing the paralyzed down the roof) were also poignant about God being our only hope when all else is lost. Overall a moving and striking experience. I am looking forward to the next time Metal Mass will be in Stadi: the 5th anniversary service will be on 30 June 2010.